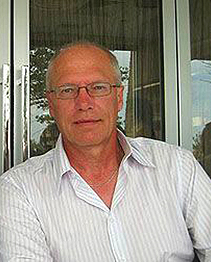 Andrys Onsman is a Higher Education consultant and adjunct Associate Professor at Monash University. He has interests in international higher education, particularly the Middle East, South East Asia and China; “soft” political power, especially the intersection of diplomacy, education and social media; Indigenous education and Art as research. As well as publishing extensively in journals and presenting at numerous conferences, he has authored three books, including the award winning Defining Indigeneity in the Twenty First Century. Together with Rob Burke he edited Perspectives of Artistic Research in Music (2017). He conducts curriculum and professional development programs around the world. I regularly speak at conferences around the world, delivering both academic papers and keynote addresses on a variety of topics related to academic development. Requests for Proposals to present are welcome – please see my contact details. Ranging from half and full day to series delivered over several weeks, my workshops are designed, constructed and delivered to meet the specific needs of the participants, framed around core concepts of best practice and an innovative approach to academic development in higher education. Examples include workshops for students transitioning to higher education on approaches to tertiary level learning, and for teachers and academics on how to approach and manage their own ongoing academic development. I take an innovative, forward-thinking and collaborative approach to the design and development of academic development programs for higher education, with a strong emphasis on quality assurance and identifiable outcomes. Design thinking is a key platform for my approach to program, curriculum and subject development. 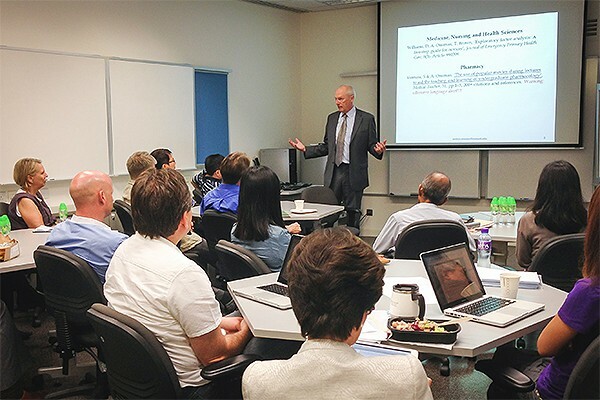 I’ve undertaken a number of successful academic development consultancies involving the detailed evaluation and review of existing programs and curricula, for a range of educational authorities in locations around the world. These projects can range from reporting based on observations and analysis conducted in a single day to more complex and lengthy examinations, often involving specific problems or issues to be addressed and conducted over a period of weeks. In some cases, the resulting reports I generated have remained in practical use for several years to this day. With a Learning and Teaching Initiative grant, I developed a new common core foundation subject for the Melbourne School of Design. Called “Changing Melbourne”, it was designed to develop the skills that students need to be successful at undergraduate studies: collaborative problem-solving, design thinking, communication and research, as well as introduce local and international students to the city in which they live. Funded by a UK grant, the ‘Mid-level management decision-making’ project was created for the University of Nottingham Ningbo China, with the aim of giving local Research Higher Degree students an opportunity to develop their research skills, as well as monitoring how ‘culturally transplanted’ mid-level academics can improve their in situ decision making. Academic development and quality assurance project was a consultancy for the University of Jazan, Saudi Arabia. It included an exhaustive needs analysis and report as well as a series of workshops over a two week period, and an on-going consultancy. My evaluative review of the STUDYLINK program at Charles Sturt University contributed to the program’s winning of an ALTC commendation. My Academic Development consultancy at the University of Dammam, Saudi Arabia, included multiple workshops and consultancy and a detailed report, still in use to this day. I devised and delivered a Foundations program to Tabor College staff in Hobart. I facilitated a workshop on the restructuring of the Bachelor of Nursing and Midwifery degree at Latrobe University, Melbourne. I devised and presented “Staff Development Program for Academics” workshops for staff at the Maejo University, Thailand. I devised and delivered an intensive academic development program to the leadership group at the Thai Chamber of Commerce University. I developed and implemented the Murina; an enabling program that supports Aboriginal students who are making the transition to Higher Education at the University of Tasmania. Funded primarily through the national Aboriginal Tertiary Assistance Scheme, the program continues to this day. I developed a Community Access Program to facilitate access to Higher Education in remote Aboriginal communities. A combination of on-line modules, partnership courses with regional VET providers, in-house workshops and industry placements as well as visits by academics, the program allowed adult Aboriginal people to enter higher and further education in a gradual and supported way. Challenges the notion that in the twenty-first century, jazz can be restrained by a singular, static definition. The worldwide trend for jazz to be marginalized by the mainstream music industry, as well as conservatoriums and schools of music, runs the risk of stifling the innovative and challenging aspects of its creativity. The increasing interest in artistic research, especially in music, is throwing open doors to exciting ideas about how we generate new musical knowledge and understanding. This book examines the wide array of factors at play in innovative practice and how by treating it as research we can make new ideas more widely accessible. Review excerpt: This book enters the core of artistic research and connects developments in Australia with the world. From many angles artistic research is explained from within experimentation, exploration and discovery, unraveling intentions, processes, outcomes and dissemination of research in and through musical practice … read more. A new look at how one of the most influential portrayals of Tasmanian Aboriginal people, the one put forward in the Tasmanian Museum and Art Gallery, has changed from simply reflecting an academic idea to becoming pro-active in presenting contemporary images : a change that began when the museum employed an Aboriginal curator to manage its collection. Review excerpt: Onsman’s book is an exploration of the intersection of history, art and psychology that effortlessly slips out of the thetic straight-jacket of mainstream academic discourses. Onsman works from a broad historical spectrum of art that seems to invite the reader to reconceptualize historical circumstances as an artistic process … read more. This book critically considers the current trend to global interactivity in the area of Higher Education and asks the question who is all this mobility meant to profit? Drawing a distinction between educational effectiveness and educational efficiency it argues strongly that the focus on student learning ought not to be lost in the international progression towards corporate universities. Awarded the Adele Mellen Prize for distinguished contribution to scholarship. Review excerpt: What Andrys Onsman does is to overlay a complex and nuanced pluricultural dimension over institutions of higher learning and poses some tough questions in so doing … read more. Dr Onsman was born in Fryslân, one of the Netherlands, and takes his native people as a case study to investigate the nature of indigeneity as the notion and implications of it become important in international affairs. He weaves his study around seven interviews – one in English, five in Dutch, and one in Liwwaddes. Review excerpt: Andrys Onsman opens this insightful discussion on international Indigenous identity with an examination of the current indigenous identity literature and policy discussions internationally and domestically … read more. This comprehensive book presents concepts key to evidence-based education, learning and teaching, analysing a wide range of allied health professions in depth. Chapter contributed: ‘Curriculum development and implementation in health professional student education’. ‘Creative Learning in Higher Education’ by Linda S. Watts and Patrick Blessinger, Australian Universities’ Review, 59 (1) pp 109-112. ‘Studio Teaching in Higher Education’ by Elizabeth Boling, Roland A. Schwier, Colin M Gray, Kennon Smith and Katy Campbell, Australian Universities’ Review, 59 (1), pp 108-109. ‘Enhancing the Doctoral Experience. A Guide for Supervisors and their International Students’ by Hutchinson, Lawrence and Filipović-Carter (Eds), Australian Universities’ Review, 57 (2) p 108. ‘Making policy in turbulent times: Challenges and prospects for higher education’ (Queen’s policy studies) by Axelrod, Trilokekar, Shanahan and Wellen (Eds. ), Australian Universities’ Review, 56(2), 80-84. ‘Education in the Broader Middle East: borrowing a baroque arsenal’ by Donne & Manthri (eds). Australian Universities’ Review, 55(2): 22-158. ‘Managing Effective Relationships in Education’ by Cardno, C, Australian Universities’ Review 55(1) pp91-2. ‘Globalisation and Higher Education in the Arab Gulf States’ by Donn & Al Manthri, Journal of Higher Education Policy and Management, 33(2): 193-196. 2017 Australia’s Reform: Increasing Equity Through Cuts? 2015 The Looming Crisis in Chinese HE. 2013 Why Do Chinese Students Seem Apolitical? 2013 Ungoogleable—who owns new words as they come into use? ‘Joint-venture universities in China’ ABC Radio National interview. ‘English-speaking Post graduate students in Chinese Higher Education’ Ningbo Television (Chinese) interview. ‘Contemporary Concepts of Indigeneity’ Fryske Omrop (Frisian) radio interview. Onsman, A & C. Newton. ‘Blurred boundaries: negotiating a common core subject in a multi-faculty Bachelor of Environments degree.’ Australian Universities’ Review, The, 57(2), 37. Onsman A. ‘Constructively aligning the curriculum of a ‘New Generation’ Bachelor of Environments degree’, Cogent Education 2(1), 1061264. Onsman A. “Assessing creativity in a ‘New Generation’ Architecture degree. Thinking Skills and Creativity, 19, 210-218. Hadland, J. & A. Onsman. ‘Democracy and International Higher Education in China’. Australian Universities Review Australian Universities’ Review, 56(2). ‘International students’ decision making strategies to enroll at overseas higher education institutions’ Australian Universities’ Review, 55(2): 15-23. ‘Recognizing the Ordinances of Heaven: the role of Confucianism in higher education management in the People’s Republic of China’ Journal of Higher Education Policy and Management 34(2): 169–184. ‘It is Better to Light a Candle than to Ban the Darkness: government led academic development in Saudi Arabian universities’, Higher Education, 62(4): 519-532. ‘Proving the Pudding: Optimising the Structure of Academic Development’, Journal of Higher Education Policy and Management, 33(5):485-496. ‘Dismantling the perceived barriers to the implementation of the NCAAA Higher Education guidelines in the Kingdom of Saudi Arabia’, Journal of Higher Education Policy & Management, 32 (5), pp 511-519. ‘Tempering University Marketing Rhetoric’, Journal of Higher Education * Policy and Management 30(1) pp77-87. Onsman A & R. Burke, ‘Discordant methodologies: prioritising performance in artistic research in music’ paper delivered at Artistic research: is there some method, Prague 7-9 April. Onsman A & R. Burke. 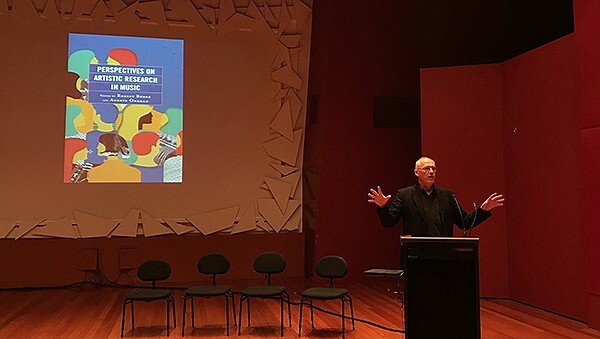 ‘The use of practice-based based artistic research to develop expertise and creativity’, Perspectives conference, Melbourne, July 23-5. ‘Learning to love weibo, youku and baidu; the unpredictable effect of Chinese social media on policy shaping in China’s higher education sector’, paper presented at Global media and public diplomacy in Sino-Western relations, Melbourne Conference on China, 2012. ‘Analogies, Threshold concepts and NESB learners in English medium Universities’, Language Issues in English-medium Universities: A Global Concern conference, Hong Kong. ‘Factors influencing international students’ decisions to enroll at a Chinese joint-venture university’, Attaining and Sustaining Mass Higher Education, Institutional Management in Higher Education Conference, OECD, Paris, September 2012. ‘Teaching Complex Concepts through Analogy’, AARE conference proceedings. ‘Carrots and sticks: mandating teaching accreditation in Higher Education’, Australian Association For Research in Education (AARE) 2009 International Education Research Conference in Canberra, 29th November -3rd December, 2009. ‘League Tables: What Chance of Promotion or Relegation?’ Paper presented IMHE, General Conference, Paris, 2008. ‘TQM in Higher Education: what evidence is there?’ Evaluation Forum, Sydney. Thesis – Media Representations of Tasmanian Aboriginal people. Thesis – Cognitive functioning in non-literal language interpretation. Thesis – Figurative language interpretation. I was recently awarded the Dean’s Award for Excellence in Teaching here in Engineering. I’d like to take this opportunity to thank you in particular for helping me no end with my teaching. Your comments have got me thinking, and have directly led to significant improvements in my communication with students throughout all of my courses. Often, it has led me to new initiatives in my teaching and feedback; at other times, it has given a name to the techniques which I am currently using. I hope the next, non-Monash phase of your life is enjoyable and you leave Monash knowing that you helped, and educated, the odd (in both senses of the word) person such as me. Your communication is the aspect that I found outstanding, and from which I have learnt a lot. The discussion topics were well coordinated and your responses were both supportive and extending. It is clear participants felt at ease and free to try out thoughts and ideas, and then, because of your direction, reconsider them at greater depth. The structure was both developmental in terms of new issues presented in sequence and circuitous in terms of general concepts being revisited at increasingly deeper levels. Thank you for the help and support this year. I’ve been very fortunate to find the human element of the Monash machine, and your mentoring has enabled me to make this year a truly successful and enjoyable year. Congratulations on a wonderful report. Absolutely fantastic and very informative. Many thanks for giving me credit in your report too. Very kind and very thoughtful indeed. Hope to see what response it will get at the Jazan end. It has been a pleasure having you at Jazan University. You are a great man. Your visit to our university has been very informative and enlightening. Many colleagues and myself have learned a lot. I have thoroughly enjoyed translating your speech to Arabic. Great concepts simply put forward. Please come back with great ideas about education development. Many, many thanks for the knowledge that you have brought with you.